For little ones, virtually nothing is more delightful than splashing around in the water. At Imagine Nation, we know how their eyes light up; we’ve seen their toothy grins and we’ve loved how giggling fills the air. It’s pure joy. That’s why Imagine Nation is committed to providing fun, safe aquatic playgrounds for communities all across Illinois. 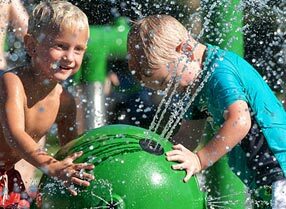 Imagine Nation selects Waterplay Solutions equipment for our aquatic playgrounds. Like our company, Waterplay Solutions shares that passion to put smiles on the faces of all children. They strive for bigger splashes, more engaging characters and interactive games. In short, they know what’s fun. 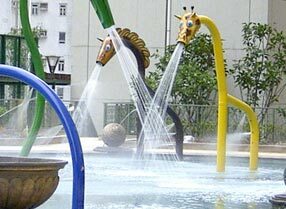 With more than 3,000 installations, Waterplay has become a trusted name in aquatic playgrounds. 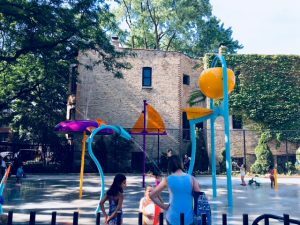 For more than 25 years, Waterplay’s aquatic playgrounds have helped turn crime-ridden, downtown parks into family attractions. It has helped breath new life into under-used community facilities, attracting hordes of children and families to play and socialize. 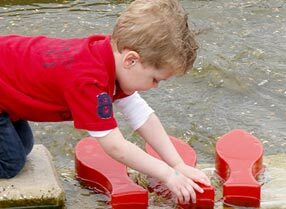 Imagine Nation works with Waterplay because their aquatic playgrounds promote exploration, discovery, imagination and interactive play. Our goal is to help develop a sense of community in different neighborhoods by breathing life into recreational spaces again. We’ve seen Waterplay equipment do just that. We want to know more about your aquatic playground project. 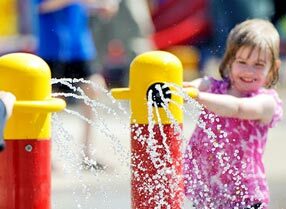 From waterslides to spray pads, we can help liven up your community. Whether you’re interested in creating something simple or complex, Imagine Nation can find an aquatic playground solution to meet anything you could dream up. Allow us to help design your aquatic playground—on time and on budget. Contact Imagine Nation online today for your free consultation.